It’s been a brutally hot summer in Taiwan; most days have a heat index of around 108 Fahrenheit. While it can be tempting to stay within the confines of air-conditioning, I definitely acknowledge our time here is limited. 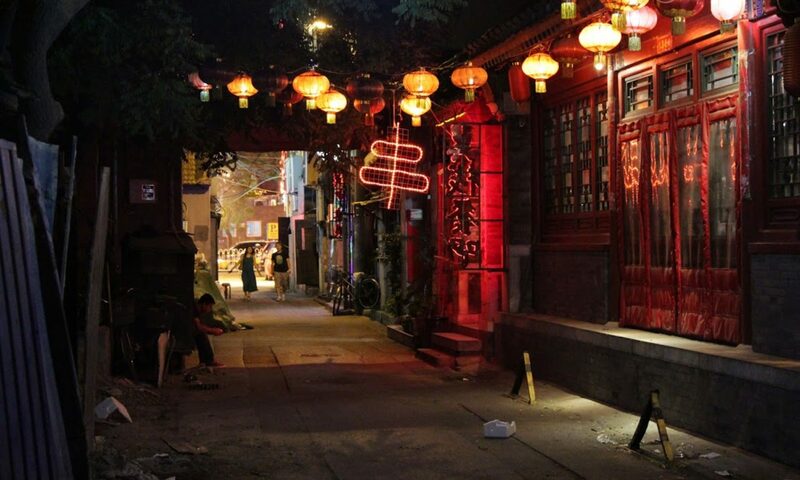 Luckily, Tainan Park (which dates back to 17th century Qing Dynasty), is right in the center of the city. 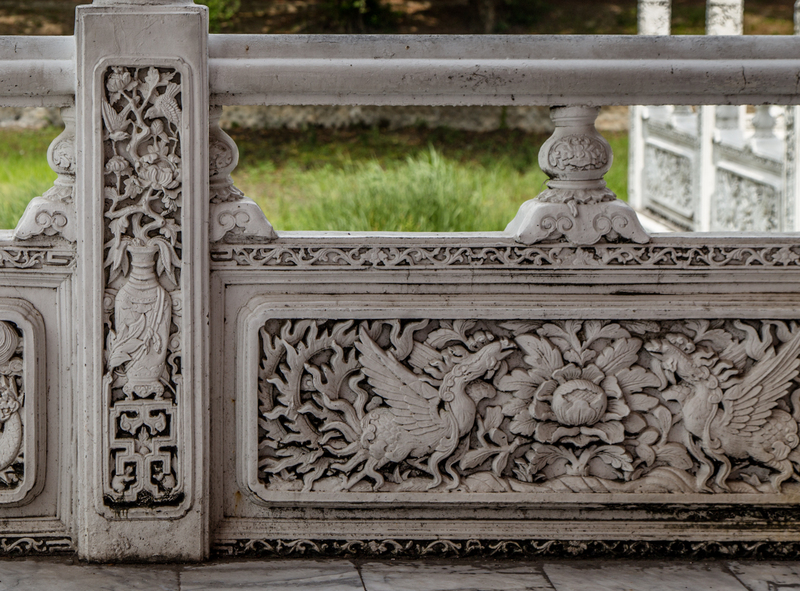 One of the most iconic features about Tainan Park is the marble bridge that spans the large lake in the center of the park. Where is this large lake you might ask? Due to the combination of the record-breaking heat and current drought, the lake has almost entirely evaporated. However, there’s still plenty to marvel at around the park like the architecture of its bridge. 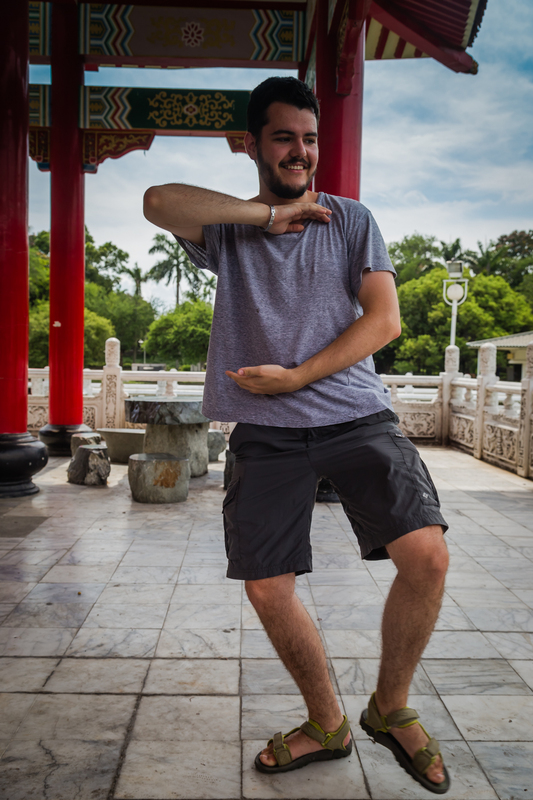 My roommate Sam took this park visit as an opportunity to practice his Tai Chi. My favorite part of visiting parks in China and Taiwan is watching (mostly) retired men going about their morning or evening rituals. This might sound strange, but their habits of stretching, tai chi, and gambling during board games are quite entertaining to watch. 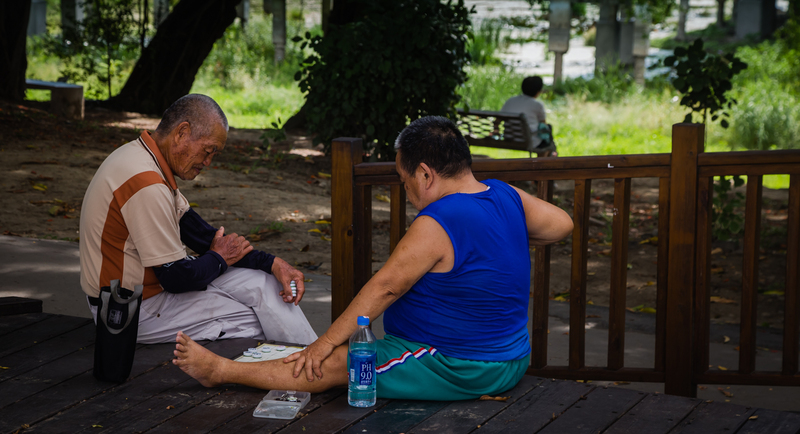 The two men below were playing 台灣暗棋, a variant of Chinese chess. While I haven’t yet been in the evening, I’ve heard it’s lit up and beautiful! 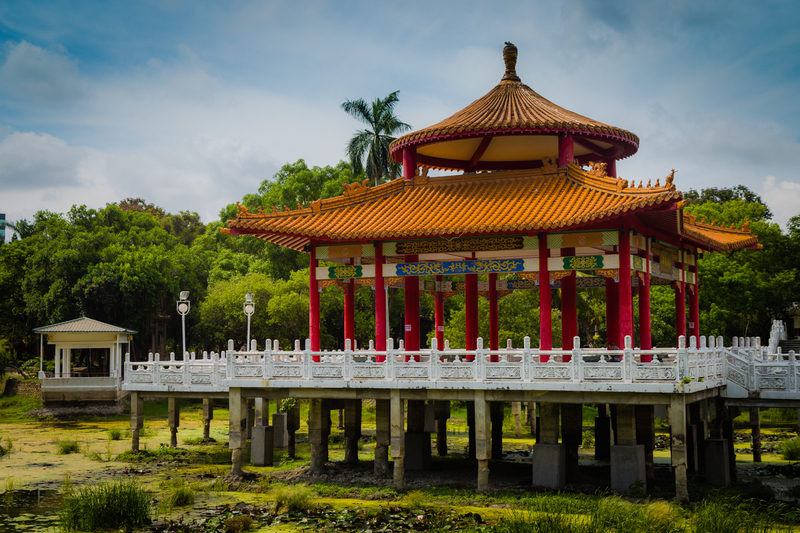 To learn more about Tainan Park and its architecture, check out the well-researched Tainan City Guide.